Hey sports fans! It looks like an awesome day for Philippine skating as our country hosts the first Asian Open Short Track Speed Skating Trophy. 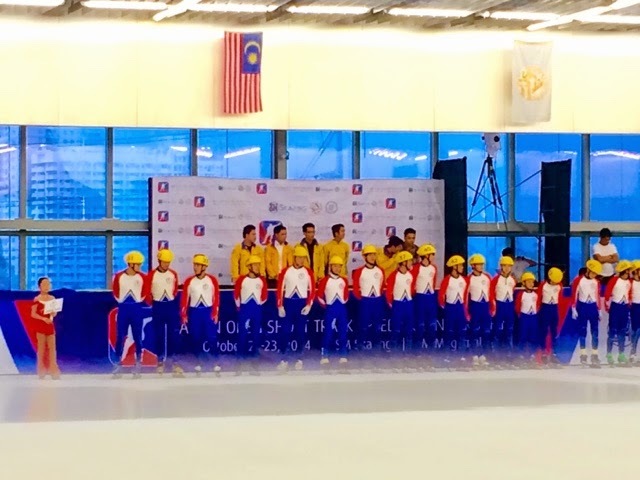 Eight countries like Chinese Taipei, Hong Kong, Thailand, Uzbekistan, Japan, South Korea, Malaysia and the Philippines will have their representatives pit against each other at the new Ice Skating Rink built at the 5th floor of SM Megamall's Fashion Hall. It was my first time to watch this live but I do see this in Olympic games when mostly European or American countries play it. The sport must have gained ground already and we're already got one Fil-Am girl joining in the name of Kathryn Victory Magno. She's done quite well today where she did her runs. She placed third in the Senior Ladies Division. These speed skating events are usually done in Japan and South Korea so the Asian Skating Union President Myong Hi-Chang was extremely happy to have it here. 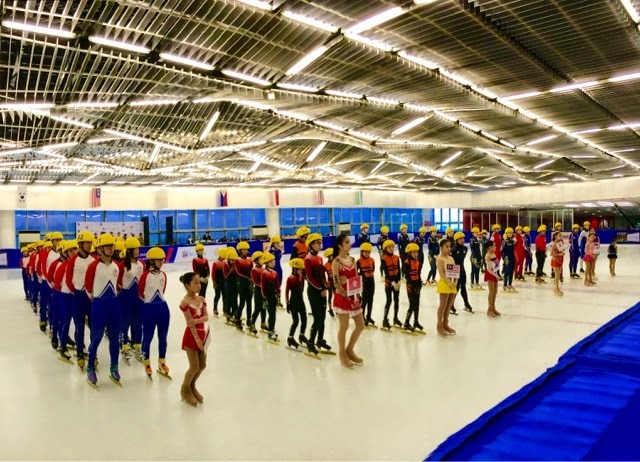 The event officials also said they were impressed with the facilities in SM and hopefully we can have more Filipinos represent the country in the next Winter Olympics. This event will end tomorrow so if you want to see them during the games, go visit the 5th Floor of SM Megamall's Fashion Hall.